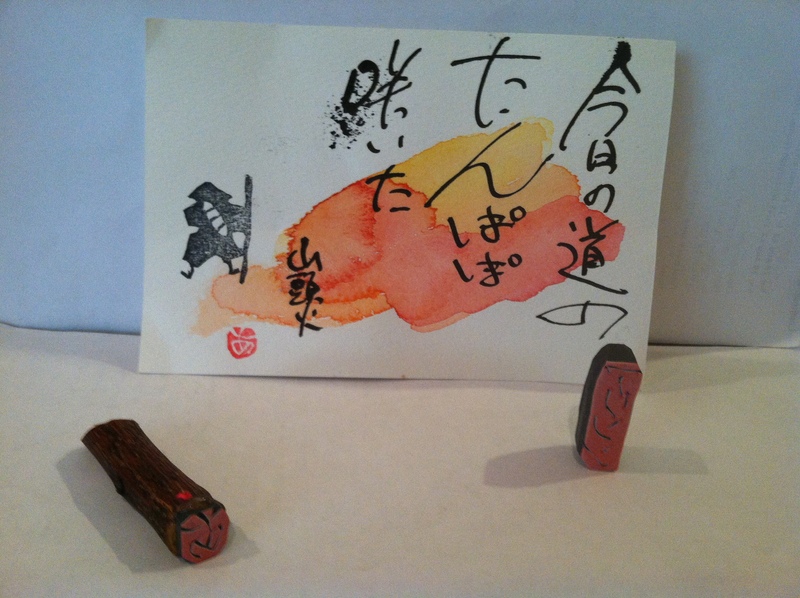 My Inbox: An Abstract Etegami, plus two hanko from Shungo! Received around 1 December 2012, a card, plus two (!) hand-carved hanko, from Shungo Asada, Yokohama, Japan.